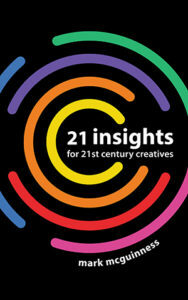 This week’s guest on the 21st Century Creative Podcast is Steven Pressfield, author of the creativity classic The War of Art and a string of other bestselling fiction and nonfiction books. 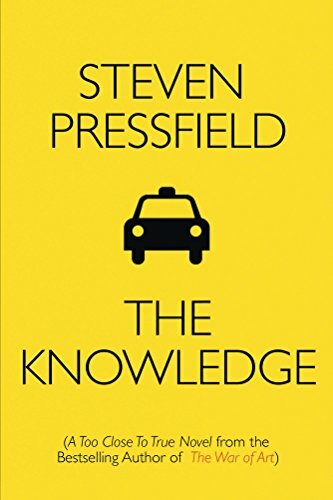 In today’s show Steve talks about his latest novel, The Knowledge, which he describes as “the origin story of The War of Art“, based on his life as a taxi driver and struggling novelist in 1970s New York. He reflects on the relationship between truth and fiction in his writing, and explains the artistic and editorial decisions he made when fictionalising from his own life experience. Steve also has some forthright and provocative things to say about some of the myths about creativity that we allow to hold us back – so I’m expecting howls of protest from some quarters this week! You can pick up The Knowledge via Steve’s imprint, Black Irish Books, as well as Amazon and all the usual bookstores. I recommend you also subscribe to Steve’s blog, where he shares his hard-won creative wisdom every week. As Steve says, the All Is Lost Moment is the moment when you hit rock bottom, and you really do feel that all is lost in your life or your career, that you’re as far away as it’s possible to get from reaching your goal and realising your dream or ambition – but it’s also a moment where you see the reality of your situation clearly, and gain a big insight that – somewhat paradoxically – leads to a profound change in you that helps you to move forward towards your goal. So life is very different before and after the All Is Lost Moment. 3. Once you’ve completed the challenge, leave a comment below this post telling us what commitment you’re going to make for the year ahead. So once you’ve given this some thought, and you’ve identified your All Is Lost Moment, leave a comment below, describing the moment itself, the insight it gave you, and the changes you made as a result. You have until midnight United States Pacific time on Friday 9th June 2017 to complete the challenge and leave your comment. 4. Once the challenge has finished, I will pick 3 winners at random from the comments, who will receive the prize Steve has kindly donated of his novel The Knowledge. I want to stress I’ll pick the winners at random, I won’t be judging the comments as the challenge is not a competition. Long time fan of Steve’s work, so no wails of protest here. After many years in destructive relationship, I started to think that if I was dead, I couldn’t be hurt any more. All was lost, indeed, followed by the painful epiphany that instead of dead, I could just be gone. I literally walked out of my life at 4 am, caught a cab, and left town for good. After that, art I’d only dreamed of for decades began pouring out of me. Over a hundred songs and more than a dozen books so far. I’ve also had the emotional energy to support other artists who’ve been stuck, unable to get started. During the past year, I’ve realized that all my books are amateur. I’ve secretly known this all along, but this past year I stopped charging money for my books because I couldn’t sell amateur art anymore. The epiphany: I can be a pro. I can do the work required. There’s no reason not to except laziness, amateur ego nonsense. That’s what I’m committing to: doing the work to write something worthy, professional. Since Steve already gave me a copy of The Knowledge you can leave me out of the drawing. I don’t think I’ve had an “All is Lost” moment, but I do love Pressfield and all his works! I am reading The War of Art right now and it resonates with me. I am not sure I had a single “All is Lost” moment, it’s been a process… But the key has been understanding the need to keep on practicing art without focusing too much on the result – it’s subtle: you have to care enough to want to improve but not focus on perfection. I had my “all is lost” moment last summer. I’ve been an art photographer for 30 years. I was never happy with the work. I sold a few pieces here and there but not great. I started painting my images in photoshop and sold one of those. I was so depressed and had no idea what I was going to do. Took my photos to an art fair with a friend. She sold a couple pieces and I sold nothing. One day I was reading about encaustic. Sounded interesting. I began painting in encaustic and Loved it. Put together a body of work of abstract paintings and had a solo exhibit in April. Sold 2 large pieces. Made more cash on that show then the last 5 years in photographs. Also signed for another exhibit in July. I will never look back! I found my medium. My “All is Lost Moment” happened two years ago after going through a pretty difficult breakup, losing my grandmother and facing a financial crisis. One day I was booked to play at a live poetry event 2 hours away by train and I couldn’t find the energy to get up and board the train – I was just too physically exhausted and emotionally drained. I would also have to walk nearly 30 minutes to the nearest train station, guitar in tow. It literally felt like my life was over and I can say that I gave up on a career in art. When I eventually got to the event, many of my friends and associates came through to watch my performance (without me having asked them) and their presence there somehow energised me and got me through the gig. I was also paid for the gig via audience donation (which was not something I expected at all) – making the whole thing a lot more worth while. The epiphany at that moment was, that no matter how down and out I felt about my career – there was still a handful of supporters who were willing to support my art and walk the journey with me – people who believe in what I do. This year I’ve committed to being more proactive in my approach to getting my arts business up and running (developing it into a creative agency) and seeking out as many means of learning and educating myself as possible both online and off. Just had my all is lost moment listening while the two of you were talking. Have to think about it a bit more and keeping my fingers crossed that I find some sort of solution. Although glad that I realized it, it’s not a happy moment. I reckon the all is lost moment is like finding your keys in the last place you look… or the stroy equivalent. My all-is-lost moment happened in 2008. That was the year my mother died suddenly and, on my birthday, my husband snapped and threatened me with a hammer. I realized that my fantasy of a happy life was just that, a fantasy. Since then I divorced, finished grad school, wrote a book and quit the day job to build the business I wanted from the beginning. I fight resistance every day. My all-is-lost moment happened in February, with the loss of my beloved mother. I had no career as I had given up my day job to try and be creative but had been totally side-tracked by various family illnesses and a crisis of confidence. I was out of touch with my spirit and my body and felt hollowed out. The epiphany: life truly is short so get on with your work, get it out there and cherish every single day. This was a great podcast! I loved the conventions of writing that Steven spoke about – if anything I found that liberating rather than restrictive! My, “All is Lost” moment was in 1992. My mother was dying, she was just 53 years old. I had 2 young children aged 5 and 4 years old. I was in an abusive relationship for nearly 6 years and then after years of hidden emotional and occasionally physical abuse my partner did something I never thought he’d do and assaulted me in a busy street in front of many, many witnesses. I had my “All is lost” moment in 2008 while on a road-trip with my husband. We had started a non-profit in 2004 with a million different projects and directions. It was like I realized that having our focus on too many things was making us stuggle and have nothing. This also happened at the same time as the recession was hitting everyone’s wallets, and we lost half our donations. My husband and I made some decisions in the car that day that narrowed our focus as well as a decision to start charging clients. I enjoyed this podcast and look forward to implementing it. I have never read The war of Art, so look forward to that too. Even though my writing work is not fiction, I love the idea of following the rules of fiction. Im going to give it shot right away. Thanks! The last one I had was just last Friday ! I am a fan of Steven Pressfield’s work. I have read War of Art and Nobody Wants to Read your Sh*t, so listening to the show was very enjoyable. Listening to him made me think of the role played by Alec Baldwin in Glen Garry Glen Ross. I’m sure Mr Pressfield would agree (and he even mentions it when he talks about the cat that becomes a muse on subsequent rewrites of The Knowledge) that not all art is planned. Anyway I don’t know if that is very clear but I really loved the interview and it was great coming after my very own all is lost moment. So, to describe that moment, on Friday I received an email explaining that I had not been shortlisted for this job that I had applied for. Put like that it doesn’t sound too bad, but just to give you an idea of the type of job it was, if it had been for you ,Mark McGuinness, the job offer would have read something like this: currently recruiting a poet/ coach who also has expert knowledge of website creation, blogging and podcasting. A bonus would include experience as a psychotherapist. Friends I spoke to were sure that the job was perfect for me. So just at the start of a long weekend, about a week after I had applied, on Friday evening, I got an email saying that I had not been shortlisted. Now, refusal is to be expected, but I did not even get as far as the interview. For this position I had put together a document containing lots of examples of different work and I had spent a long time trying to make it as comprehensive as possible. So, I could not help feeling very down and sad for myself. The next day, I moped around, trying to convince myself that I had done some good work, trying to understand why I had not even gotten as far as an interview. I walked for a long while through the first places I had arrived in this big city, trying to cheer myself up. I studied the options, wondering what I could do or if I should not just pack it all in. I listened to Randy Newman and chuckled wryly at You’ve Got A Friend In Me. And then I began to think how this gatekeeper, in the person of the refusal, was taking away from my value. How I no longer was controlling how my work was seen, not even by me. I was no longer controlling it because I was accepting that it was not good. With this in mind I began to make a little bit of art, I began to cook things, hang out with friends, think of other things. Just through doing this, taking these small concrete steps got me back on track. I still have a long way to go as an artist but I feel like I am back on some sort of road, walking again on a path. After listening to Pressfield I am going to make an effort to identify and stay close to a genre in my art pieces. I am going to try to be less arty and more practical. Today my father died, exactly today some hand full of years ago now when I was 21. His death came out of the blue. Bang! dead. It hit me hard. No goodbye. My whole viewpoint of life shifted. It made me realize that every day we can be gone. It makes me smile and able to put things in a bigger perspective. This moment of disaster became an event of great gratitude. A celebration of full life potential. Today I will visit his grave, an absurd activity for me where I see myself doing it as if watching a movie scene. Loved the podcast again! I’ve had a couple of ‘all is lost’ moments in my life – one about 15 years ago (although the whole process of getting to ‘this has to stop’) took about 5 years. I really couldn’t see a way through it / out of it and I almost resigned myself to ‘this is how life is’ – I was 27. My other ‘all is lost moment’ happened 2 years ago. A very sad thing happened and I really struggled to come to terms with it over a period of about 18 months. But on both of this occasions the epiphany moment came when I thought ‘this HAS to change – I have to change’ – and then I took action (which was painful and scary). But the key thing both times was taking responsibility for my own life and happiness and making the changes that were so desperately needed. Both these experiences are – as described in the podcast – moments in my life where there is a ‘before it happened’ and ‘after’. Life’s a journey and the rock bottom moments – although hugely painful and testing – were things that made me get in the driving seat and strive to make the most of my life – becoming more ‘me’ and not putting on the ‘if I just do this/ say this/act in this way – it might be ok’ mask. Phew – that was hard to write down! Onwards and upwards! I’ve had some down times, but never that bleak that it was “all is lost”. That’s based on even when working in refugee camps I could see people making decisions that affected their personal outcomes. I’ve had a lot of “this is tougher than I would like” moments but always thought there was eventually going to be a way out. My dark night of the soul happened at the start of my college career. I had been the first of my immediate family to go to college in fact, and to make matters a bit more complicated I was coming from a small town. As such, I did not have the advantage of a parents’ experience in how to prepare for the major life change. In retrospect, I could have asked a number of teachers, or the parents of friends, I didn’t though. Just never occurred to me. Anyway, I moved to a city much bigger a few days ahead of the start of school. At this point I realized a couple of things. The first had been that the distance between where the school was, and where I lived were a bit farther than I had first anticipated. The second, I had no car, and had been completely unfamiliar with the mass transit system. I tried to figure it out, but all the new-ness, and adhd I ended up kinda freaking out, and found myself at a naval recruiting office. I took some tests, had a conversation with the recruiter. I ended up verbally agreeing to go with him to another sign up thing, and join the navy. We were supposed to leave the Monday morning I would have started classes. I say supposed to leave, because the Saturday before I literally thought, what am I nuts, I don’t want to be in the navy. I decided on a course of action, and on early the following morning I packed some extra clothes, left a note on my apartment door for the recruiter, and started walking. I walked from Arcata Ca, around Humboldt bay (the long way), and past Eureka Ca to arrive at the school in the earliest hours of the morning. Literally sleeping beneath a redwood tree to be on time for my first class. Hi Mark, great podcast, great timing! Steve’s challenge brought me back to two years ago. I don’t feel like sharing here what that moment was but the challenge was a great excercise to do. It did put my all-is-lost-moment in perspective and gives me in retrospective even more insight in myself. I am already looking forward to the next 8 episodes & challenges. Hi. I´ve been thinking about this all week and come to the conclusion that I´ve had many “all-is-lost- moments”, epiphanies. They are what keeps me moving. I will mention two. The first one, a big one, of course, I had when I was sick from Anorexia as a young teenager and suddenly had a “glimpse of clarity” one night. The big question in this moment was: do you want to live or die? My intention was never to die, I just wanted to be myself (my creative, true self I know now) and slowly this glimpse helped me come back to life. After this I felt, for the first time in my live, that I could be myself, just as I am. The price was high but definitely worth it. The last “all-is-lost-moment” I had was last week. As I´ve done many times, I questioned what I do, if it´s good enough, if I can “make it” etc. and then, late at night just before going to sleep I reached for my notebook and wrote out my Goal, the only thing that really matters to me. It wasn’t anything new, but the simpleness and weight of my words felt different and something changed something within me. Instead of stressing me out trying to reach this, this time, it made me relax. Have a nice weekend everyone. Look forward to Monday´s podcast 🙂 Maria. My all is lost moment was when I completely lost my sanity. I became so paranoid that I couldn’t function. I was convinced that the world was out to get me. But if I had just worked instead of worried, I could have been somewhere by now. I could have created new worlds…with my mind :)! I could have been somewhere with my life by now, if I had worked instead of being worried. Another one is when I realized that my relationship partner was actually great. He was so consistent. We had our problems, but I realized I loved him so much. But by that time, it was too late. It was too late to go back after I hurt him. I hope that in the future I can date him again. I would have married him. I just didn’t have the confidence that I could get my life together, so I worried about the relationship instead of working on myself. I would do a lot to have a second chance with him. I didn’t bother to talk to him to figure out what was going on. I feel so bad, and I was so confused at the time, but I feel like at this point in time he wouldn’t take me back. I miss him so much. Both of these insights have to do with not worrying so much. They have been some of the most painful things that have happened to me. The changes I’ve made as a result of this are I’m trying to do things that get me out of my own head. I’m trying to realize that I have worth. I’m trying to realize that I can take action. I can build my own life. My goal over the next year is to write more often. I want to get back into making worlds, regardless of if my ex and I were ever destined to get back together. I want to come up with a story this year, and then write a novel in the year after this one. Thanks for an amazing thread everyone, it’s been a moving experience to read about your All Is Lost Moments. I’ll shortly send the recording with my feedback to the 21st Century Creative mailing list.